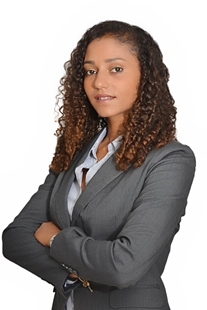 MSc student Soukaina Mahfoud, specializing in Controllership, is one of the two winners of this year’s Relève award from the Association of Québec Women in Finance (AFFQ). She received the award on April 3, at the annual AFFQ Gala, which draws over 600 leaders from the finance community every year. In addition to a $2,500 scholarship, Soukaina has been offered a paid internship in governance and financial statements disclosure with Mouvement Desjardins. Since she arrived in Canada in January 2013, Soukaina has been very active at the School. She is Vice-President, Social Affairs, with the graduate students association (Association des étudiants aux cycles supérieurs – AECS) and has been working at the HEC Montréal Co-op since February 2014, in addition to sitting on its Board as an observer and advisor. The School often does well at the AFFQ gala, in fact. Last year this award went to Arielle Desforges (MSc 2013 and BBA 2011), in 2012 to Andréanne Simard (MSc 2012), in 2011 to Mélanie Dussarrat (BBA 2011) and in 2010 to Amélie Favaro (MSc 2011 and BBA 2009).